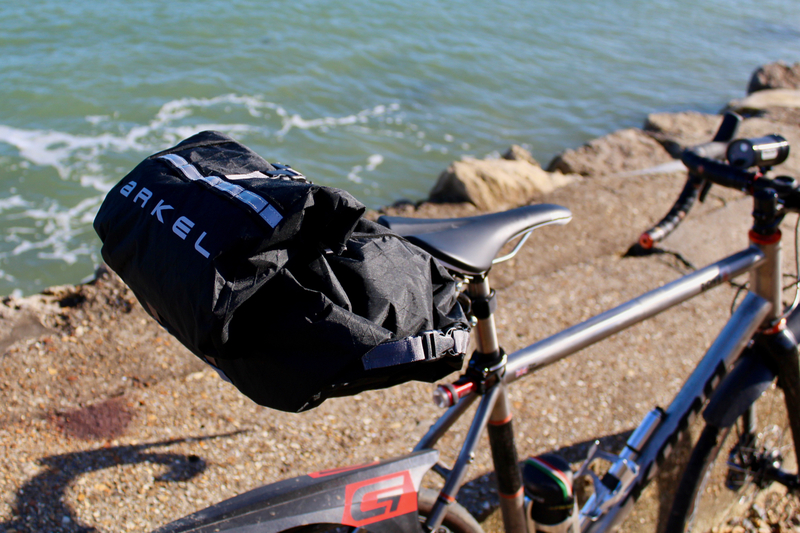 New bikepacking seat packs are hitting the market place every minute, but the Arkel Rollpacker 15 seat pack takes design and function to the next level. 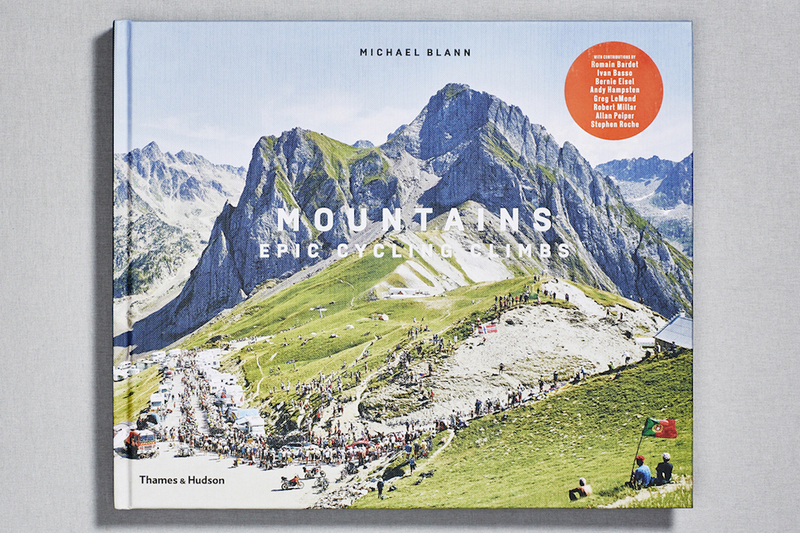 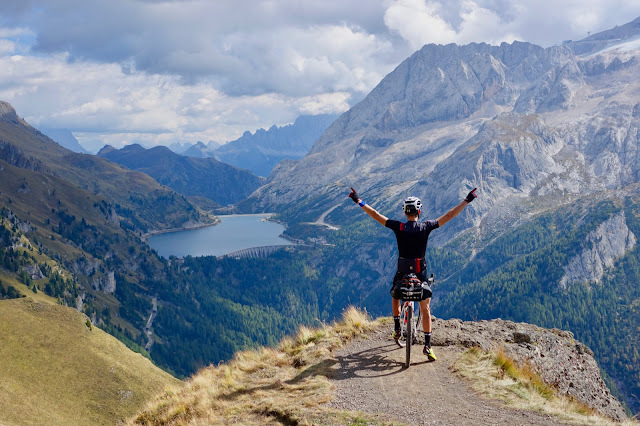 This could well be the best designed bikepacking seat pack to date. 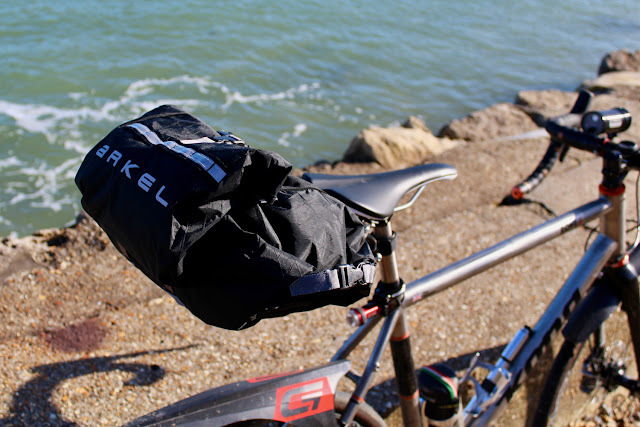 Last year, I reviewed the Arkel Seatpacker 9 bikepacking seat pack, and praised it for its compact frame that adds significant stability to the design, making it perfect for off-road riding and rough-stuff touring. 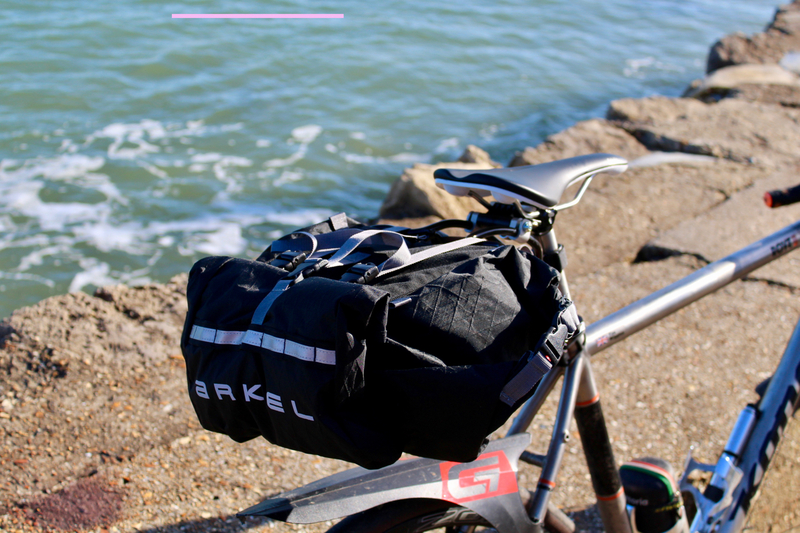 The Arkel Rollpacker 15 adopts a similar lightweight metal frame design, but it has a fundamentally different luggage set-up. 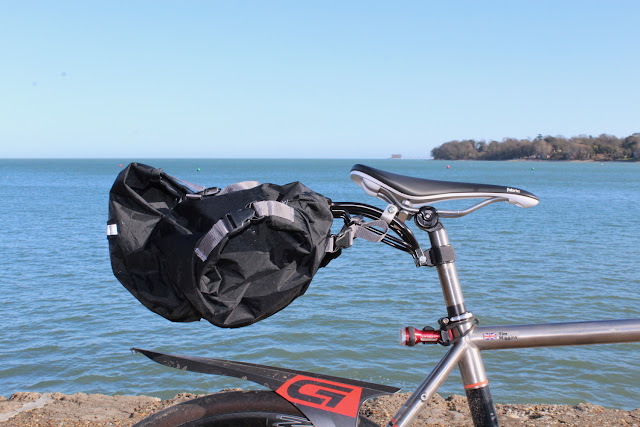 Bucking the trend of having the seat pack dry bag pointing inline with the bike, the Rollpacker sits it perpendicular to the bike's centreline. 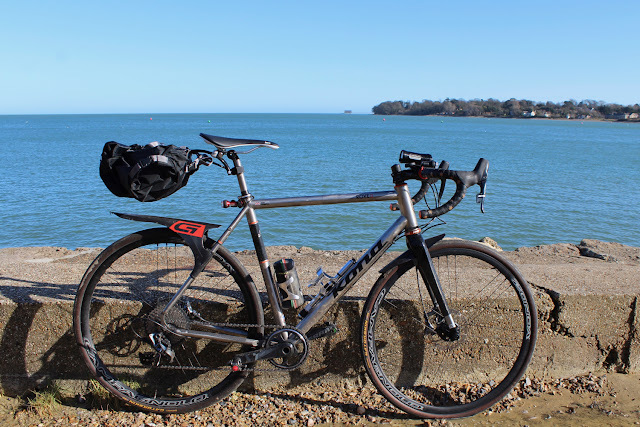 This has a number of advantages: first, it moves the weight closer to the bottom bracket, rather than having it sticking out over the rear wheel; second, it almost eliminates the annoying swaying of most seat packs; third, it allows for a larger load to be carried, because there is no issue of it rubbing against the rider's legs if the bag is too large. The Arkel Rollpacker has a simple aluminium tube frame, which is easily installed and removed from the saddle rails and seatpost with a quick release clamp and Velcro strap. 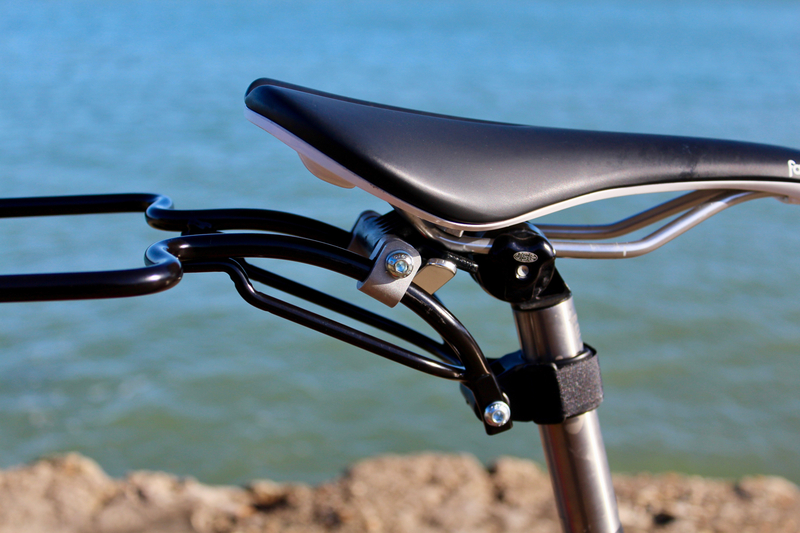 The frame is strong and rigid, and sits horizontally sticking out from the back of the saddle. To mount the bag you have two options: on both sides of the sack there are sleeves that pull over the frame, and are then secured with quick release webbing straps. 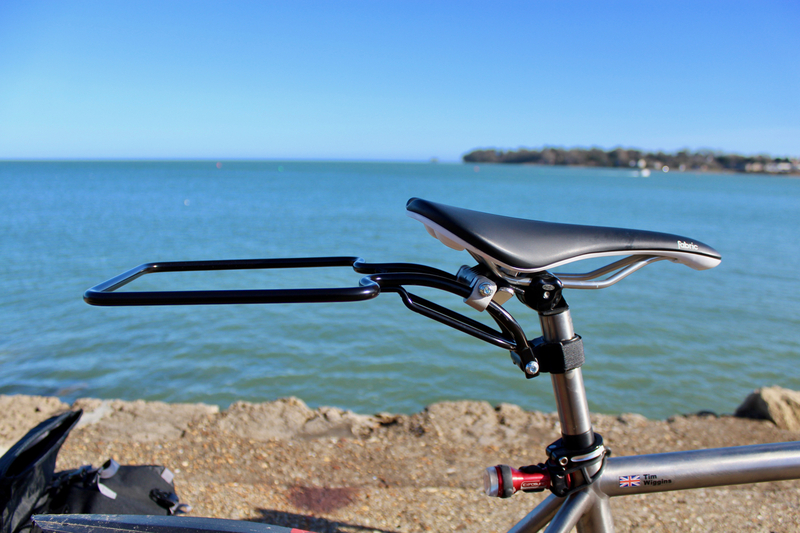 So, you can either mount the bag above the frame, or have it hanging below. 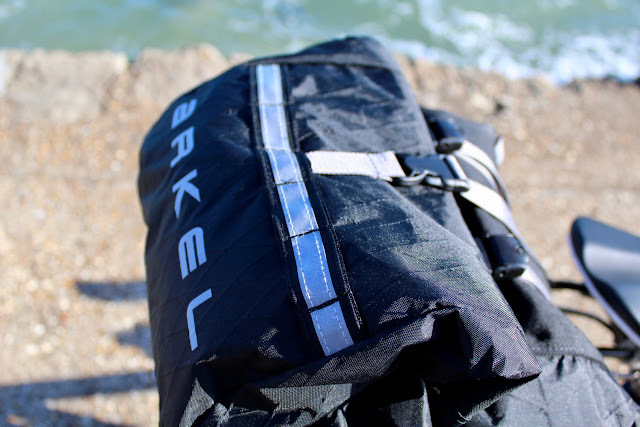 This adaptability means the bag should fit any size of bike frame, or any type of bike. There is then a third webbing strap that secures the bag and pulls it forwards on the frame, to add extra security and peace of mind. 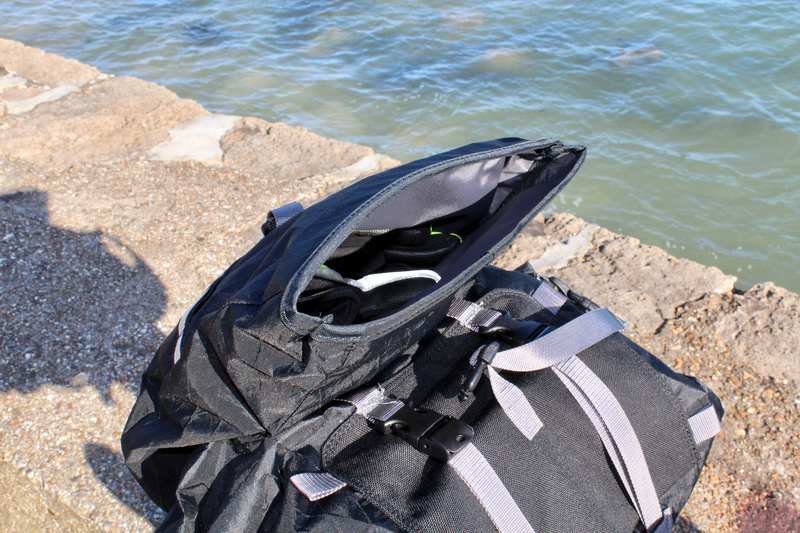 To load the bag you can unclip and unroll either side of the waterproof roll-up closure. 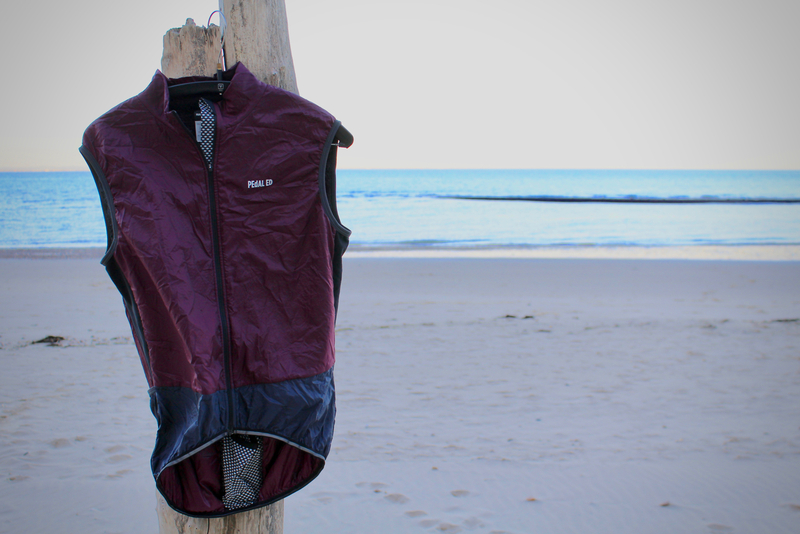 Having access to both ends of the bag makes it quicker and easier to load and unload. On the outside of the main compartment there is a pouch that also has a waterproof roll-down closure. 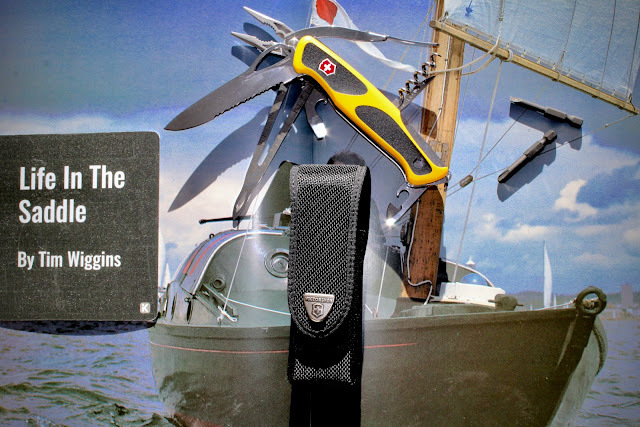 This is ideal for tools, accessories and valuables, which might otherwise be lost in the cavernous interior of the main bag. 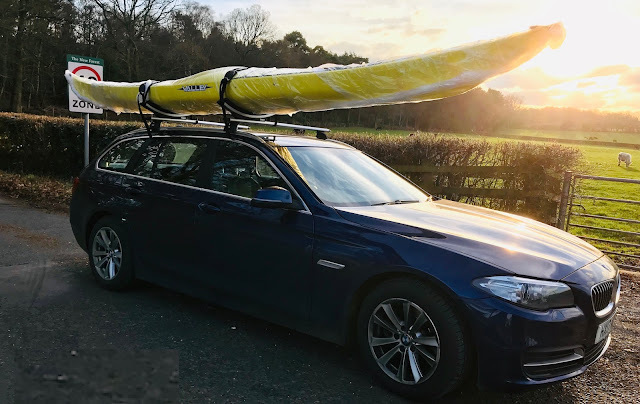 I was impressed by how much I could fit into the Arkel Rollpacker 15; it seems to take more than other 15 litre seat packs that I have tried. 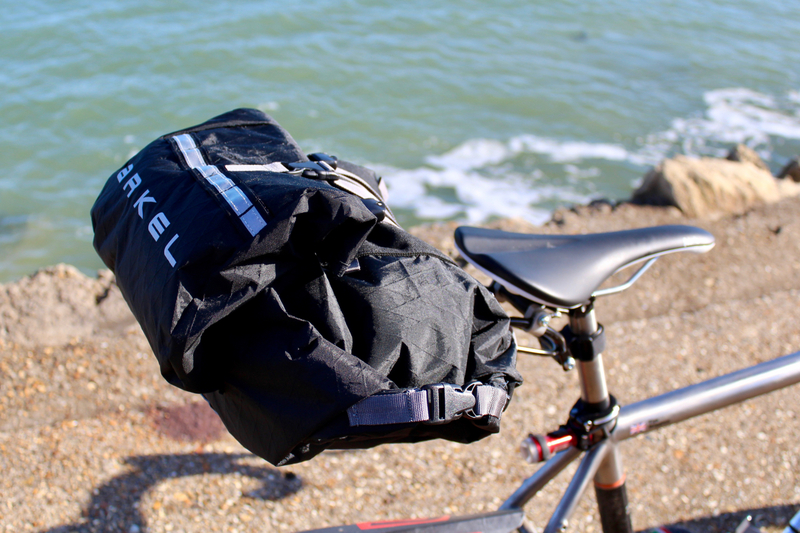 If you are looking for even greater carrying capacity, there is also the Arkel Rollpacker 25 within the range. 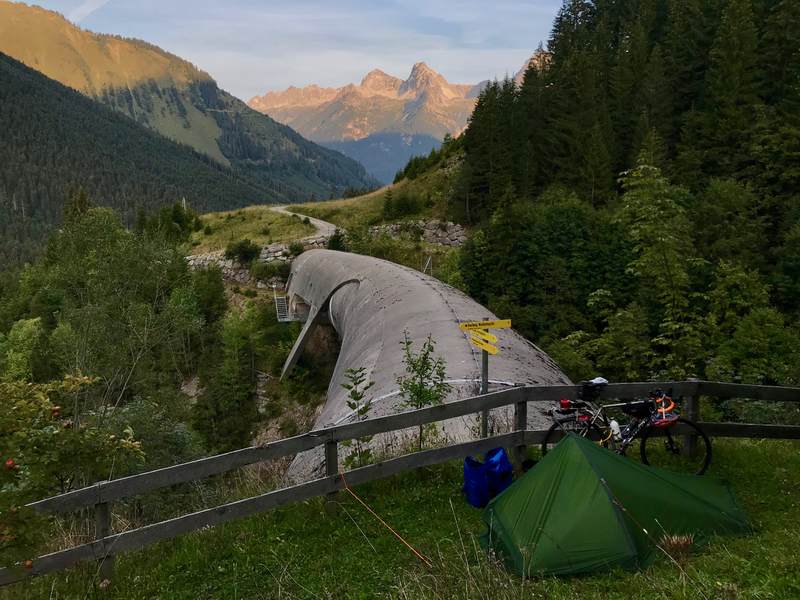 Loaded up with a tent, sleeping kit, and clothes, the Arkel Rollpacker felt secure and well balanced out on the road and trails. Features like the light hoops on the rear are great for clip-on lights, but also for lashing items to the top of the pack. 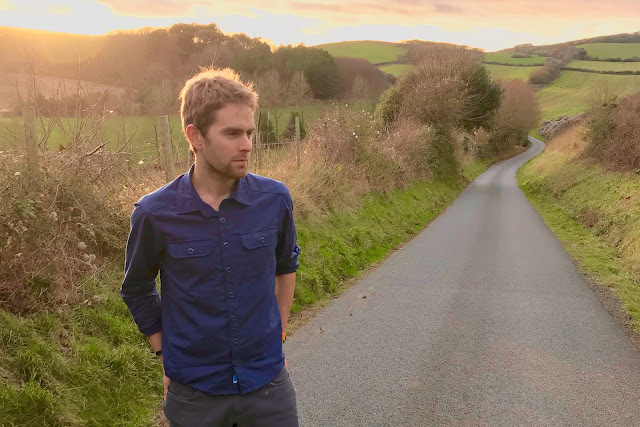 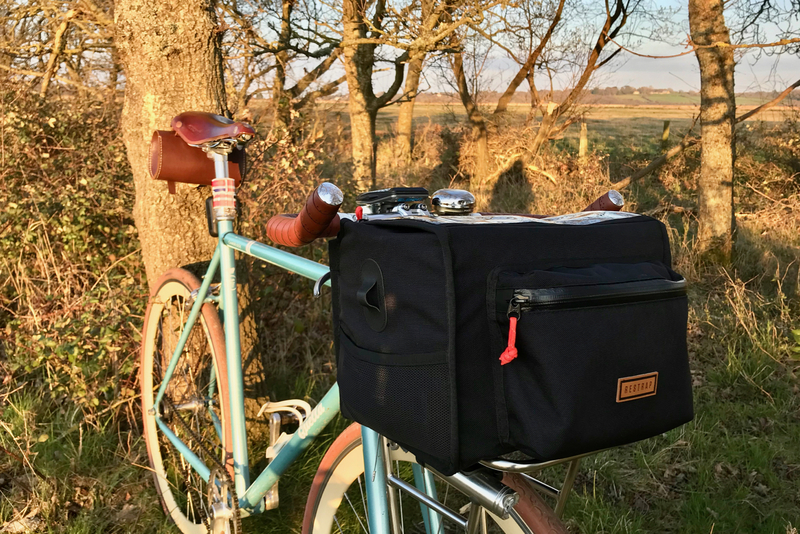 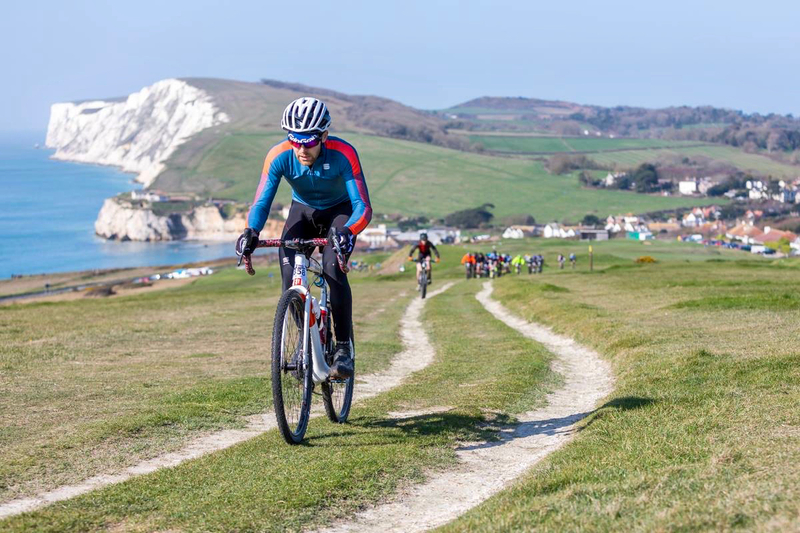 As has been the case with all other Arkel kit that I have tested to date, the quality is superb, and the brand backs this up with a lifetime guarantee on their products. 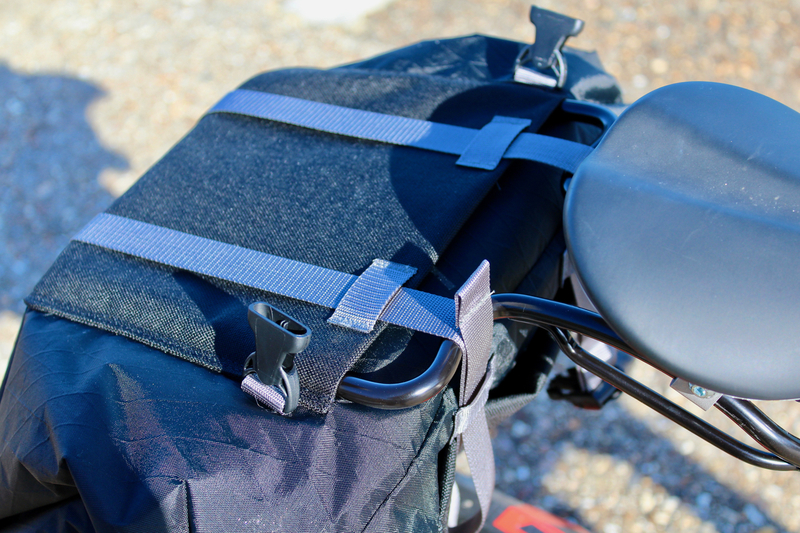 There were certainly no leaks or breakages during my testing period of the Rollpacker, and I can vouch having used the Arkel Seatpacker 9 almost everyday since I tested it, that this quality and durability continues. 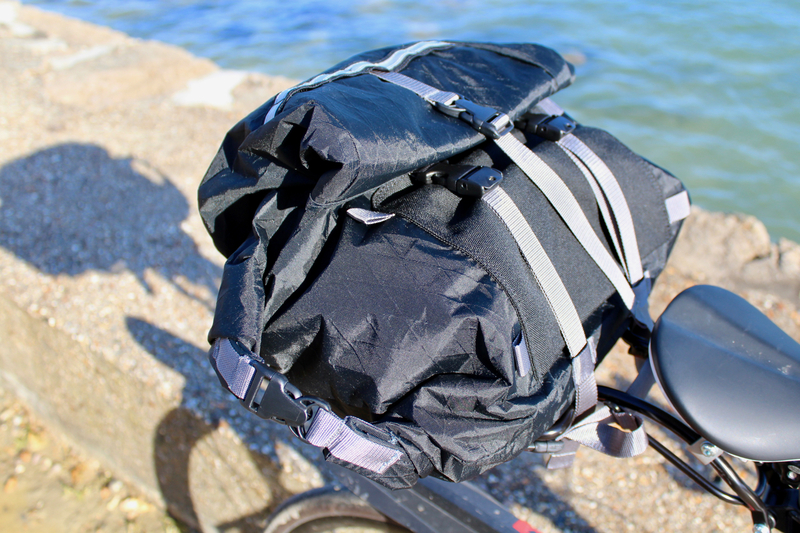 Overall, this is a superbly designed bikepacking seat pack. It is easier to load than others, it sways far less than frame-less designs, and it is still relatively lightweight at around 800 grams for the complete set-up.